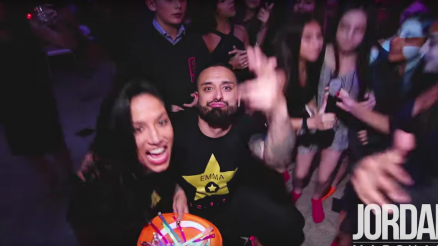 3, 2, 1… HAPPY NEW YEAR!!! 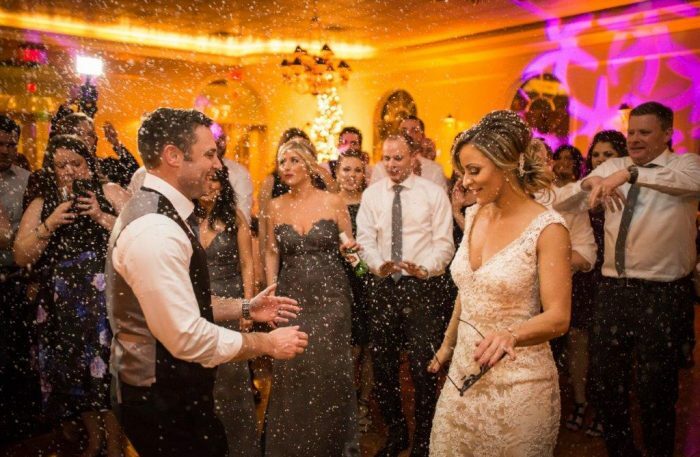 Xplosive Entertainment helped Samantha and Jim ring in the new year with some extra special pizzazz. 12/31/16 was thier wedding date. Samantha, a banquet manager, and Jim, a NJ state trooper, tied the knot around 3pm in the afternoon on New Years Eve at the picturesque Nassau Inn located in Downtown Princeton, New Jersey. Prior to the reception, their family and bridal party enjoyed a fun downtown photo shoot with, Barry Korbman of Korbman and Co. Photography. The reception was even more special. At 7pm, guests arrived at Mercer Oaks Country Club, where Sam has worked for many years. Getting married where you work isn’t an easy task, but Sam took her experience and used it to her advantage. She transformed the (already incredible) venue into something even more spectacular. Her employees walked in for their shift and were awestruck by the amazing level of design and decor adding to the special touches. Being in the wedding industry, Samantha called upon industry friends who she trusted to run her wedding so she can enjoy it and not feel like she was working. Xplosive Entertainment was one of these proud vendors. The team of DJ Michael T and MC Mike P entertained Sam and Jim’s guests beginning with cocktail hour then leading into the midnight ball drop. While most weddings are five hours, this wedding was planned for an extra hour, kicking off the first hour of 2017 with an “after-party” feel. Some special touches throughout the night included gold wireless up lighting throughout the venue, washing the walls in a rich color. Additionally, intelligent dance floor lighting helped build the energy on the dance floor with colored moving lights. But during slow songs, dinner, speeches, etc… these same intelligent lights projects slow moving snow flake patterns on the walls or elegant stars on the ceiling. The newly weds also opted for an indoor snow effect to help amplify the winter theme. 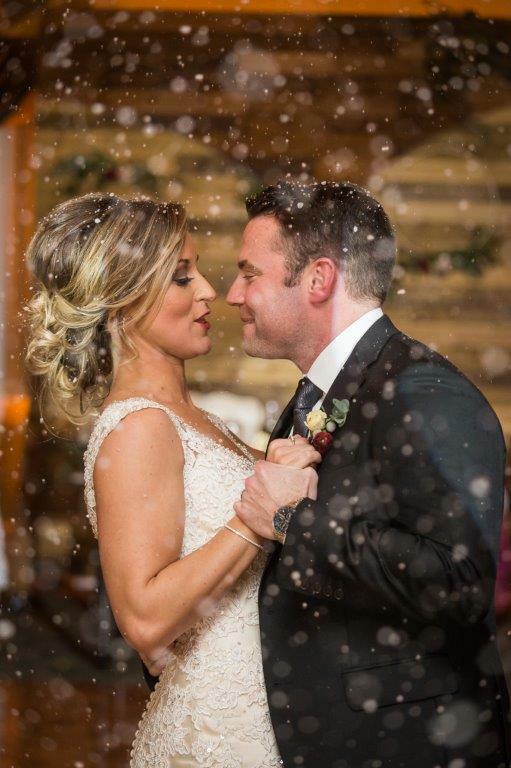 The photos speak for themselves with the snow falling on their first dance as husband and wife. 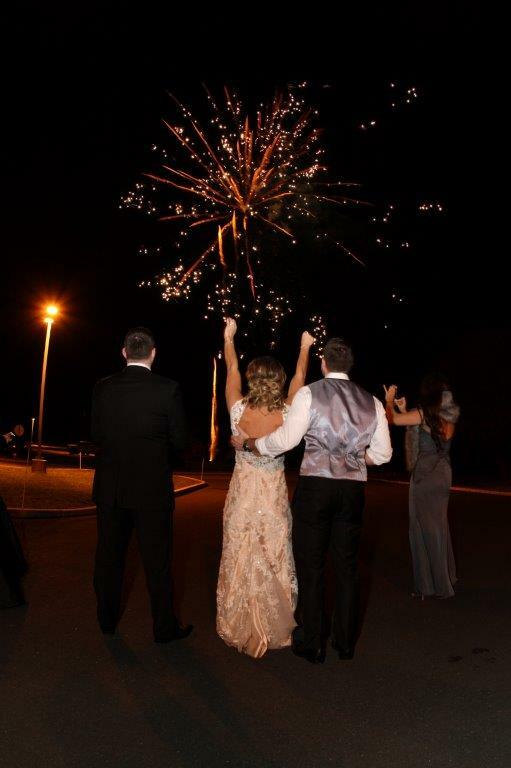 The bride and groom also surprised their guests with a firework show just after midnight. Sam described the night as magical. She commented that “everyone says there is no such thing as a perfect wedding… and that at every wedding something (usually minor) doesn’t go as planned.” She continued to say that wasn’t the case for her. She had a perfect, fairy-tale, magical wedding celebration. Xplosive Entertainment has been part of many other New Year’s weddings. 100% of the time, we’ve experienced something very special on NYE. The energy level is always incredible. 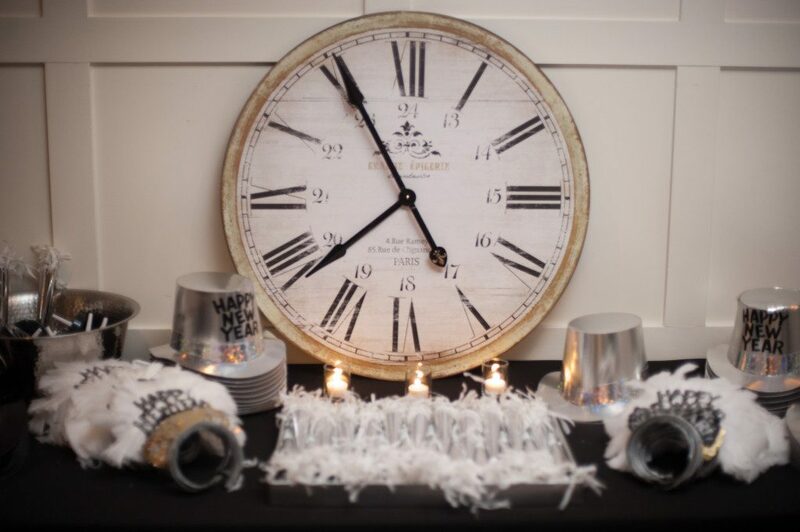 Guests come ready to celebrate both the marriage of their friends/family but also the ringing in of a new year. A New Year’s wedding is truly one to for the memory books! (And the grooms always appreciate that their anniversary date can’t be forgotten too).